The new channel connects the original 66 acre lake to the new lake making our lake size over 100 acres! The channel is deep and wide enough to handle all watercraft allowed on the lake. The 3rd Addition has lake lots as well as lots located off the lake that will still be afforded lake access. All lots continue to share the same amenities as always. Hurry over Friday, Saturday, Sunday or Monday and See the Furnished Models and talk to Carolyn Stephenson about purchasing your lot! They will go fast! Emerald Bay resident fullfills his dream by building the ultimate castle with dungeon and more. His story was quickly picked up by local media and covered in the video below by the Wichita Eagle. Wichita homeowners face winter storms with severe ice and snow every year that can do damage to homes and threaten the safety of families. That’s why it’s important to take precautions and prepare your home for the coldest winter months. Here are some ways you can protect your home from severe winter cold and the elements. Ice and high winds can damage the exterior elements of your home, so check your siding, shutters and any other exterior elements to make sure they’re secure. Clear gutters of sludge and debris to make sure you have proper drainage away from your home’s foundation. Added weight on your roof from ice and snow can cause structural damage, so check your roof for any holes or damage before bad weather hits. Apply caulk to drafty windows and use weather stripping on exterior doors to keep cold out and heat in so your energy bills stay as low as possible. Insulate your exposed pipes to prevent freezing, expansion and bursting. 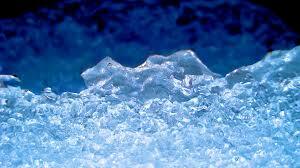 Keep at least a trickle of water running to prevent pipes from freezing during the coldest days. Look for tree branches near your roof or power lines that could potentially cause problems. Trim away any branches that could fall on your roof, vehicles or power lines when carrying the added weight of snow and ice. Make sure you are stocked up on emergency supplies for winter. Keep an emergency supply of food on hand in case travel becomes impossible. Keep rock salt and shovels handy in case you are snowed in. Keep a fuel-burning heater around in case your heat goes out. We know bad weather is coming in Kansas. 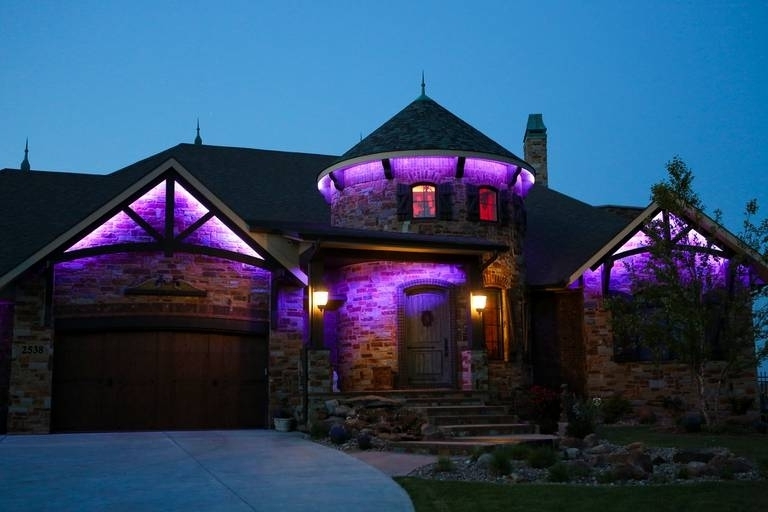 The best way to protect your home is by preparing for the worst possible outcomes. You’ll have a better chance of getting through winter without any major incidents. Thank you for your interest in Emerald Bay Estates. We are located on West Street between 21st Street and 29th Street North in Wichita, KS. Please use the form below so we can help you find the perfect new home. 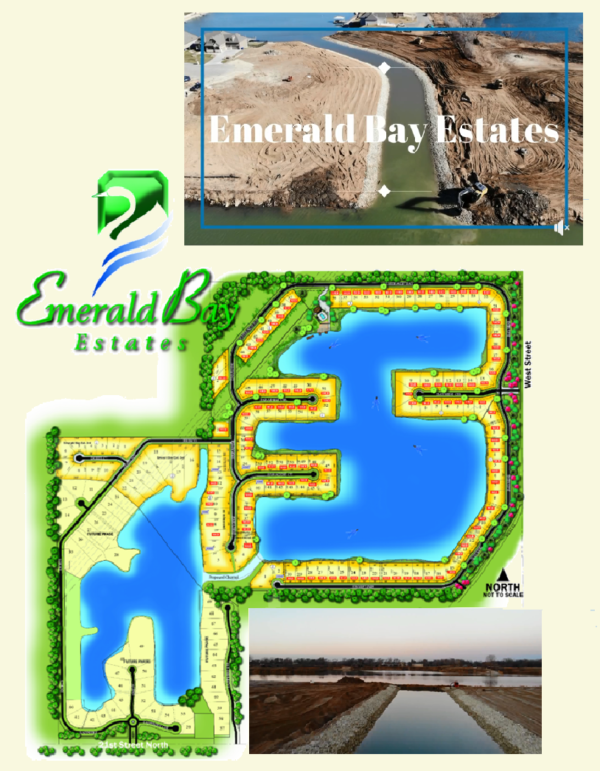 Emerald Bay Estates is located on the beautiful northwest corner of Wichita, KS. Offering the best in schools, shopping and recreation, the area is a wonderful place to live, work and raise a family. Here are a few of the local amenities and attractions Wichita has to offer. Wichita Private Schools– All Wichita area private schools. Wichita State University– Public Division 1 NCAA university. Home of the Shockers. Friends University– Private university located on Meridian between Kellogg and Maple. Neumann University– Private university located south of Kellogg next to Southwest Boulevard. Towne East Square– Wichita’s largest mall. Two-story complex located at the intersection of Kellogg and Rock Rd. Towne West Square– Wichita’s second-largest mall located at the intersection of Kellogg and I-235. Rolling Hills Country Club– Membership country club located on Maple between Maize Rd. and Tyler. Tex Consolver Golf Course– Beautiful public course located in Pawnee Prairie Park. Arthur B. Sim Golf Course– Scenic public course located in the Riverside museum district. All Wichita Golf Courses– Guide to all public Wichita Golf courses. Botanica– A large collection of theme gardens welcoming visitors and events located in Riverside next to the Wichita Art Museum. Sedgwick County Zoo– Nationally and internationally-recognized wildlife park supporting conservation programs and endangered species located on Zoo Blvd north of I-235. Great Plains Nature Center– Educational center for Great Plains flora and fauna located on 29th St N between Woodlawn and Oliver. Exploration Place– Large science center featuring exhibits, digital dome theater and planetarium located north of McLean Blvd between Seneca and Waco. Wichita Art Museum– Large museum featuring exhibits and collections located in Riverside. Museum of World Treasures– Fascinating collection of historical items located in Old Town. Old Cowtown Museum– Open-air, living history museum located in Riverside. Mid-America All-Indian Center– Cultural center and museum preserving American Indian heritage located in Riverside. Kansas Aviation Museum– Museum exploring the history of flight located next to McConnell Air Force Base. Wichita Thunder– professional CHL hockey team playing at Intrust Bank Arena. Wichita Wingnuts– minor league baseball team playing at Lawrence-Dumont Stadium. Wichita Force– professional CPIFL indoor football team playing at Intrust Bank Arena. 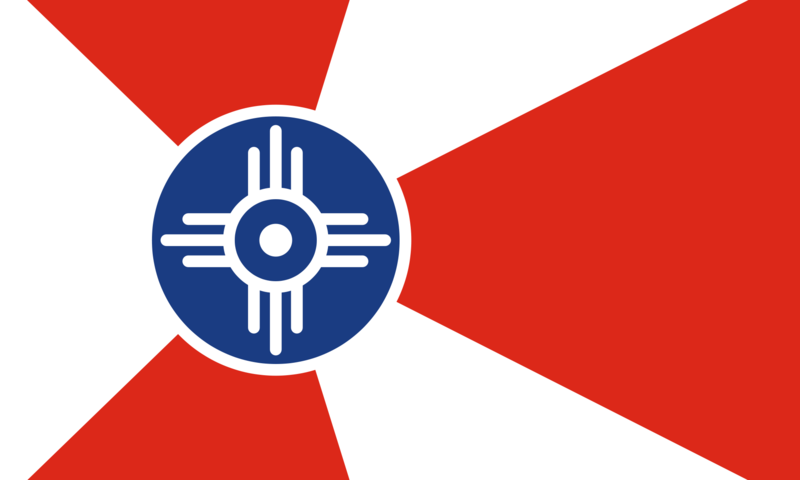 Wichita B-52s– professional MASL indoor soccer team playing at Hartman Arena. FC Wichita– professional NPSL outdoor soccer team playing at Stryker Soccer Complex. Warren Theaters– Movie theaters featuring the latest Hollywood releases with three locations. Orpheum Theater– Historic downtown theater featuring concerts, events and films. Crown Uptown Theater– Historic College Hill theater featuring concerts and events. Palace Theaters– Discount movie chain featuring last-chance movies before they leave the big screen. Murdock Theater– Small downtown theater featuring independent film releases. Starlite Drive-In– Wichita’s only remaining drive-in theater featuring two screens. The Cotillion– Historic concert venue featuring well-known touring artists. Century II – Large downtown convention center and performing arts venue. Intrust Bank Arena– Largest event venue in Wichita featuring year-round concerts and events.